Labels from Zebra, the industry-recognized leader in barcode supplies, can always be counted on to be strong and clear when properly printed, whether they’re standard paper or a synthetic backing. But figuring out the type of Zebra labels you need to print can be a very confusing process. The experts at Tri-State Business Systems can help by quickly finding the right Zebra label, ribbon and thermal printer for your business. We start by thoroughly researching your needs, and then producing samples so you can ensure your system can make all the Zebra barcode labels you need without an expensive trial-and-error process. Once you’ve found the right system, Tri-State Business Systems can professionally install it and train your staff in as little as five days so you don’t lose time or expensive barcode materials adjusting employees to your new system. 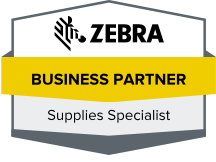 Even if you already use Zebra labels or any of our other brands, Tri-State Business Systems can make it easier to get your supplies. 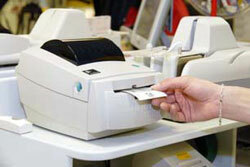 We are able to supply barcoding materials from most major brands with as little as three days of turnaround time. You can also count on us to have enough products in our 50,000-square-foot warehouse to deal with even the largest orders. IBM, Bristol-Myers Squibb, and Johnson & Johnson all trust us with their barcode supplies, and we hope you will too. For more information on getting Zebra labels or any of our other products for your business in Trenton, South Plainfield, New York City, Jersey City, New Brunswick and beyond, contact Tri-State Business Systems today.